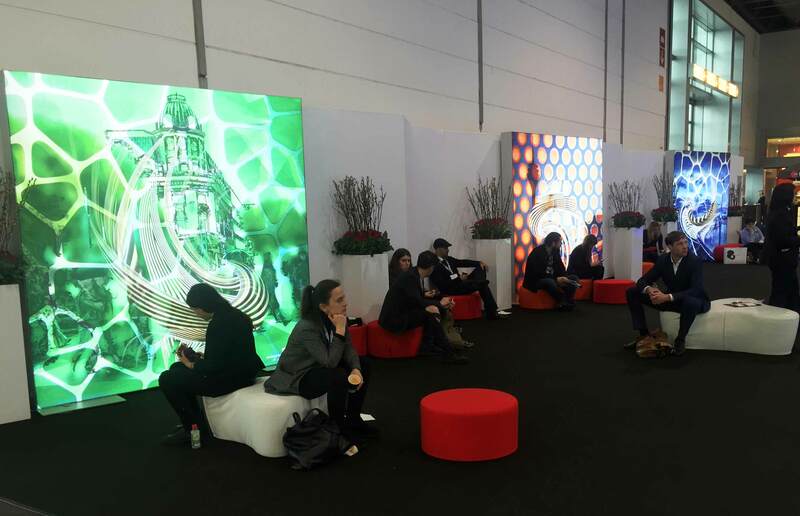 How often do we attend an event, conference or exhibition where the stands are illuminated by the usual fluorescent strip or standard spot array? 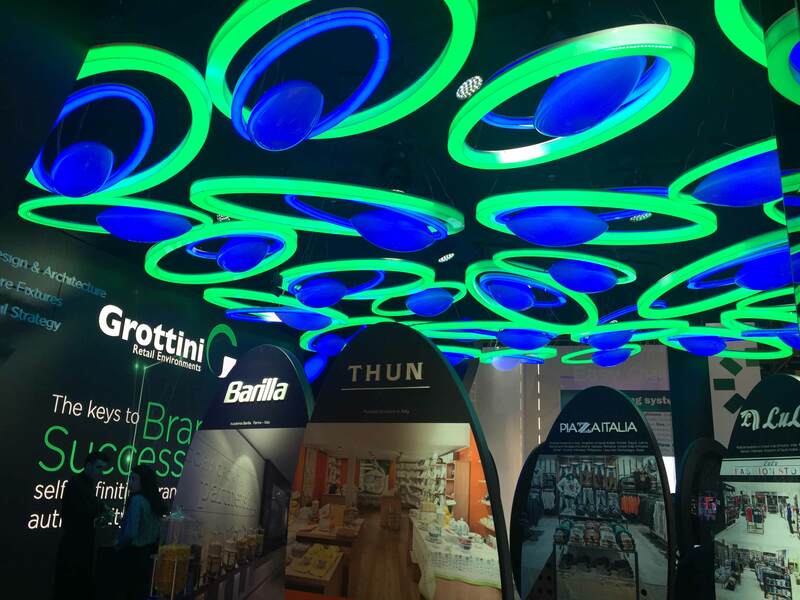 Whilst they are functional and light the stand, there is so much more that can be achieved with effective lighting. Never was this more apparent than at our recent sojourn to EuroShop 2017. 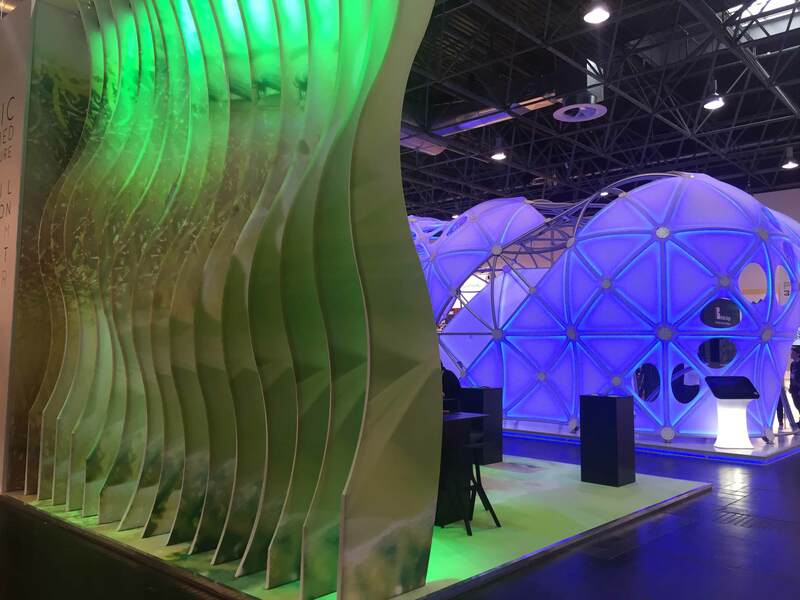 As with so many aspects of EuroShop the exhibitions had, almost universally, spent time planning how they could incorporate lighting into the fabric of their stands. Obviously we were fascinated by how people were using systems like our own Brightbox, but what really caught our eye was how some stand designers had used the lighting as part of the whole stand theme. One of the most attention-grabbing lighting innovations was the Grottini stand illuminated by internally lit green and blue ellipsoid that suggested little planets suspended overhead. It was a spectacular effect that both lit the stand and provided a ceiling, without making the stand feel claustrophobic. Pixlip used backlit tensioned fabric to create a stunning visual graphic that was suspended over their stand, but the really nifty touch was making it double sided, with portraits on the outside and customer brands inside, leaving no unused space. The sheet visibility of the bright stand make is visible from across the show floor. The lighting was strong enough to make the images pop, but not so bright as to make the stand too dazzling. We really loved the impact this lighting scheme had. 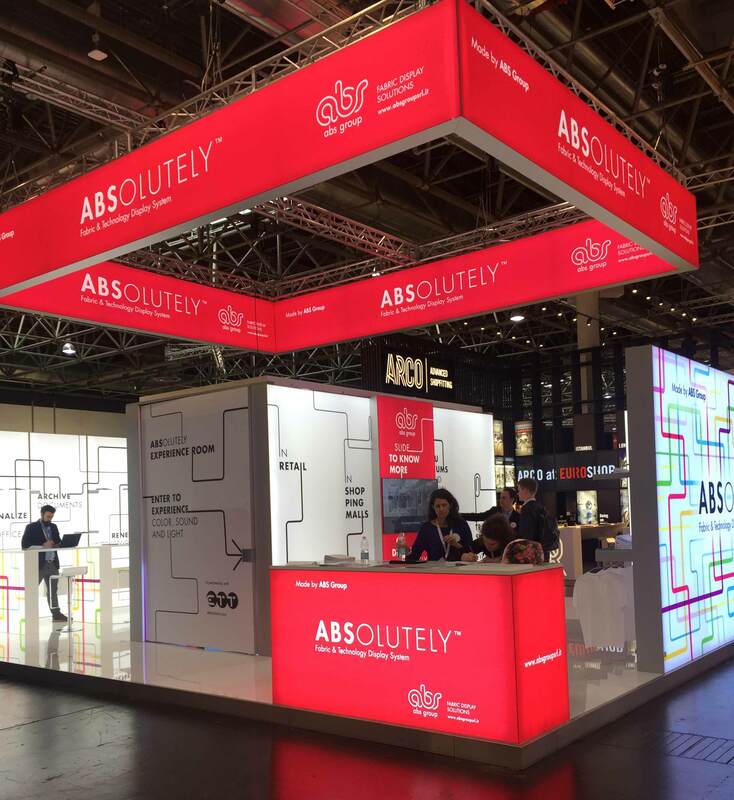 Inspired by these two stands, we went hunting for more examples and next on the list was ABD Group’s beautifully designed and built red and white stand. Simple and sublime, the red was perfectly lit to make it glow without being too vivid. A photo gallery printed onto backlit tensioned fabric on another stand was also a highlight. The high quality photography, combined with the rear illuminated fabric print, really stopped visitors in their tracks! Even the organiser got in on the backlit tensioned fabric act, using double sided boxes in their meeting spaces, lifting what can be dead areas, and making them an asset to the show. 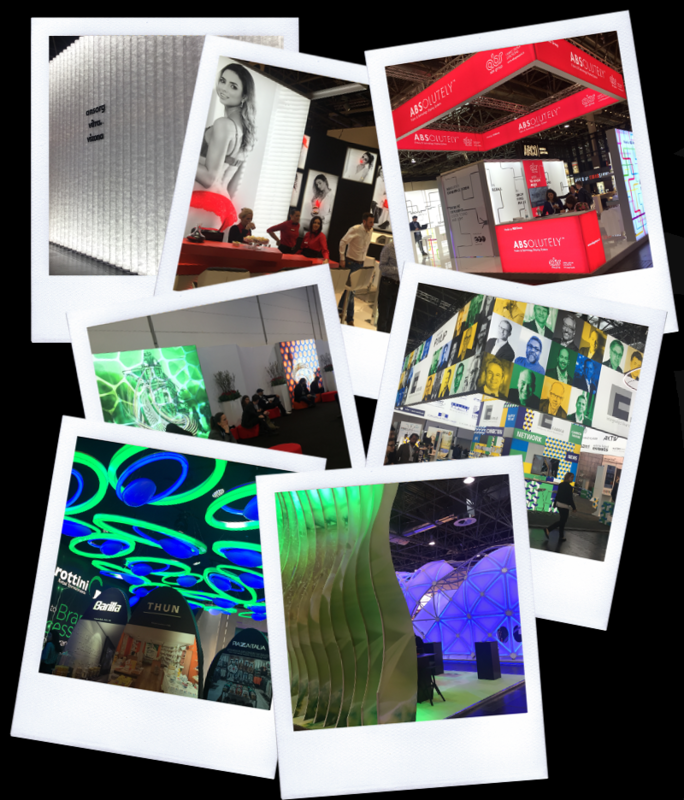 We came away from EuroShop 2017 with a box full of ideas as to how we can deploy exciting and inspirational graphics using light as part of the overall delivery. 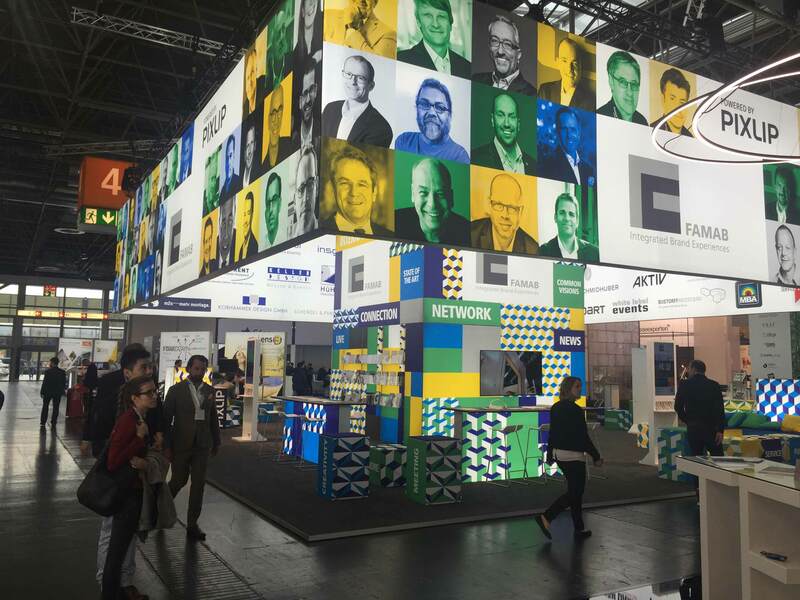 Keep an eye out our website for new ideas and the next blog from Euroshop 2017.